Ergobaby sent me this stroller to try but as always all opinions are my own. 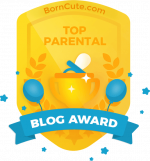 Check the end of my post for a 2018 Holiday promotion on this stroller! I have had an Ergobaby carrier since my first baby was born six years ago. I have been through several different styles and loved them all. I always felt Ergobaby adapts to parents needs with each new product and I am a huge fan. In fact I have written several reviews of their carriers because I love them so much. I was thrilled when Ergobaby offered to let me try their new stroller. Yes, stroller! I know, Ergobaby is known for its baby carriers, and I do love to wear my babies. But, sometimes you need a stroller. And now that my youngest baby is almost two I am not wearing her as much anymore. She still needs rest or to be contained at times though, so Ergobaby’s new 180 Reversible Stroller is perfect for my needs. I have been through almost as many strollers as baby carriers in my six years as a mother of three. I have had budget strollers, full size strollers, convertible strollers, super high end strollers, and double strollers. After trying so many strollers I have features I believe must be included in a single stroller. Being lightweight and easy to fold and open is key. Some of the most gorgeous and full featured strollers are just downright heavy and I realized after a lot of back pain this is not for me. But super lightweight strollers do not always have all the features needed either. And, they don’t always push nicely. 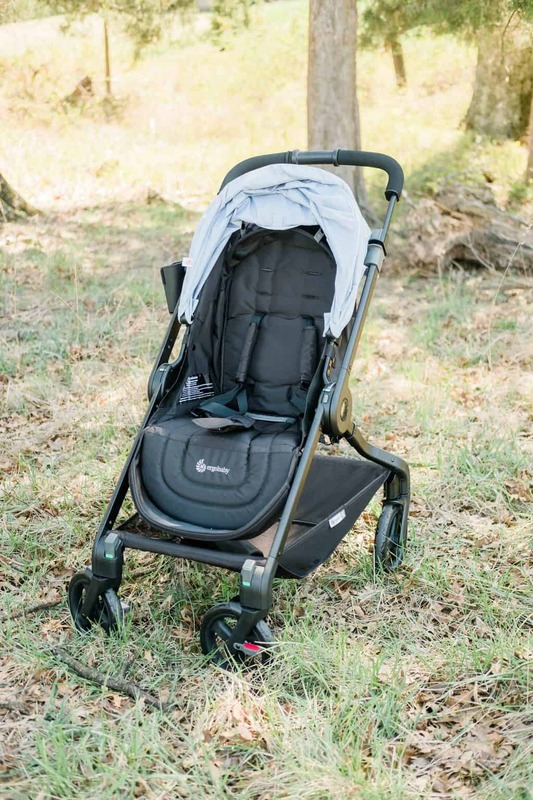 The Ergobaby 180 Reversible Stroller checks off most of my requirements and is easy to push, easy to open and close, and has tons of customizable features. The 180 stroller comes in four colors and can be used with Chicco and Graco carseats with adapter. Extra accessories include the car seat adapter, bumper bar, and a cushy insert. It goes up to 50 pounds which means even my six year old would fit in it. Another cool and new feature (from any stroller I have used) are the wheels, which can turn in all directions allowing you to walk sideways, you know when you are in a store aisle and need to get out of the way! 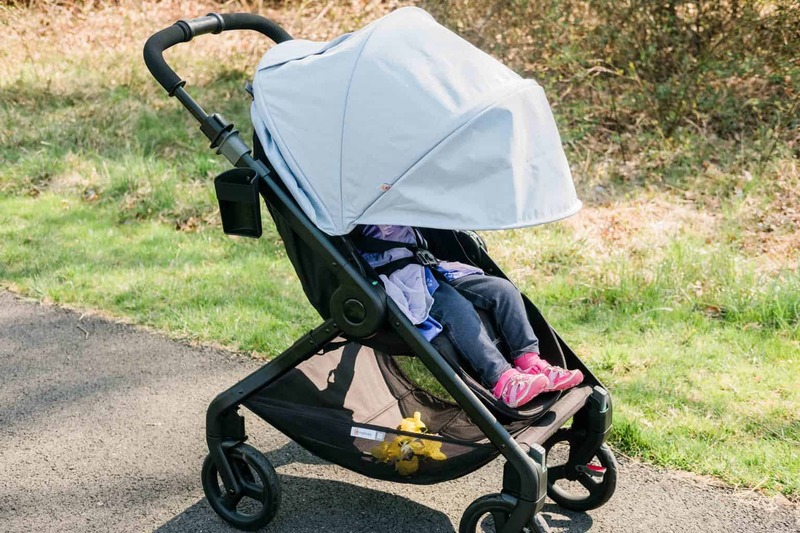 The wheels can also be locked to allow a traditional stroller pushing mode, and should be if you are not on a smooth surface. The handlebar flips allowing your baby or child to face you or face out. This is a feature I especially love with a small baby. At almost two my daughter wants to look out but parent facing is wonderful for babies. 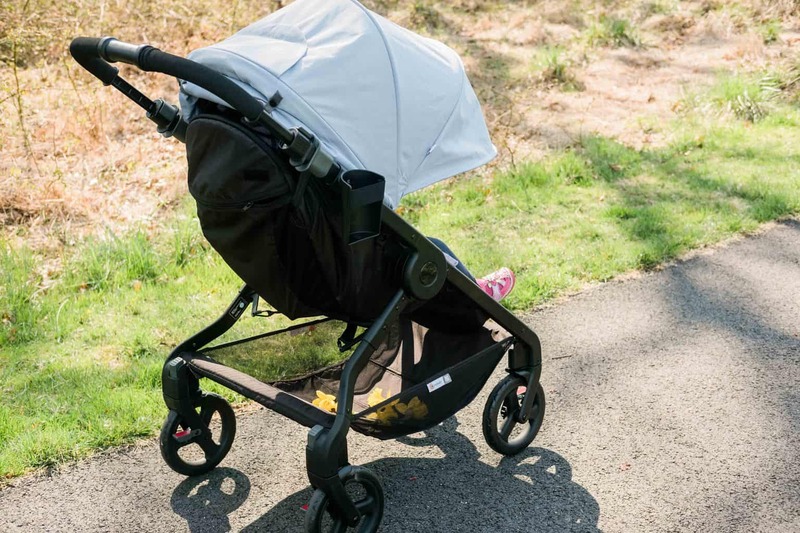 I took the 180 stroller out to test for a full day at the park with my three children. My four year old and two year old both fit in it well, and my two year old had head room to spare. She especially loved the canopy and thought it was so funny to pull it down over her. I tried to get a picture of her with it up but she would not cooperate! The canopy is huge and offers full coverage. It can also be opened up in the back and allows air flow through the mesh for summer. There is also a huge basket and cup holder giving this stroller all the standard features we expect. There are so many thoughtful features on this stroller. Ergobaby has obviously taken the time to figure out what parents want and need in a stroller. 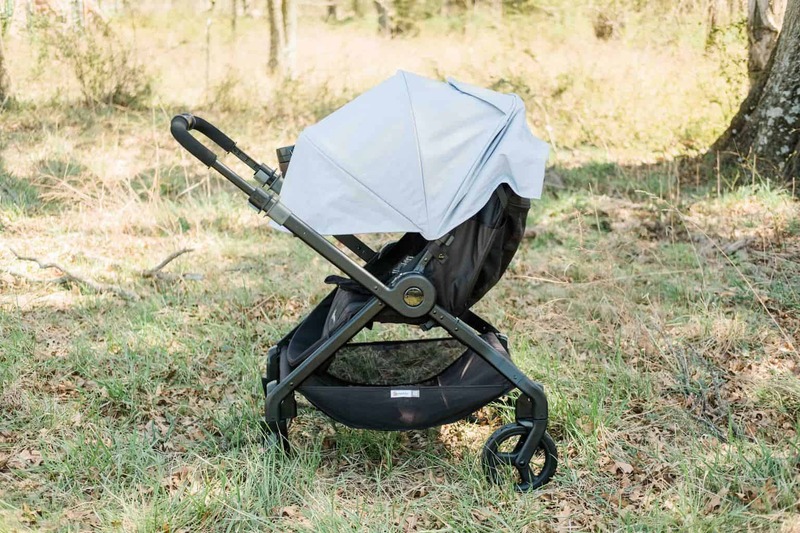 You can find the Ergobaby 180 Reversible Stroller here, the price is reasonable too! 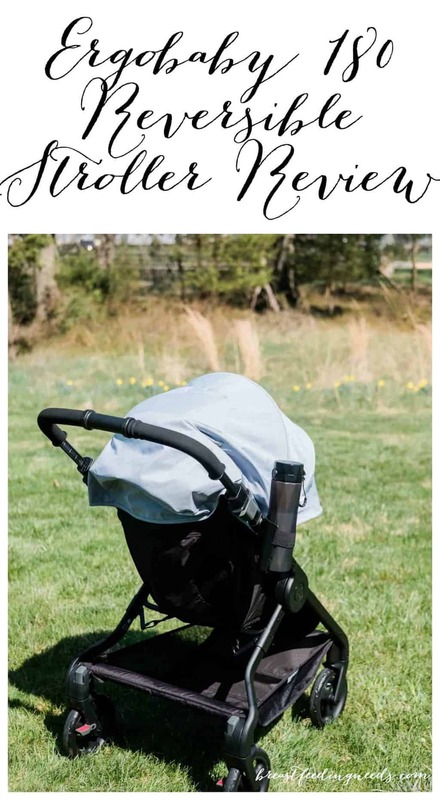 Please let me know if you have any questions about this stroller at all! 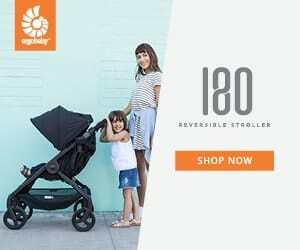 $100 Off the Ergobaby 180 Black Stroller! The promotion starts on Cyber Monday (Nov 26th) and ends at midnight on Tuesday (Nov 27th). Use the code “cyber100” at my link above and get the 180 Black Stroller for $199. A $100 savings! Please note this promotion includes the black stroller and does not apply to other colors. This gives 10% off, works for 1 of each item in cart, expires December 31, 2019. Would you say that the seat is at 90* in the upright position? We have a Britax B-Agile and it leans back even when full upright and my daughter is constantly pulling herself up! I think it’s more upright than the B-Agile. Maybe not totally 90* but close. Hope that helps. Yes, that definitely helps! Thank you so much for the quick response! I have a question about the wheels. The stroller has good suspension? baby smells bumps ? Hi, I am not sure if suspension is included but I think the stroller handles bumps pretty well. The wheels are solid and sturdy. I have not tried it with the snack tray so I am unsure about that too. Looking at Ergobaby’s website it does appear it would fold with it but I am not 100% sure. It looks easy to remove if not. 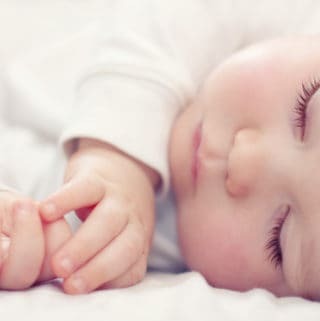 I would like to know does this part where foot goes can be pulled up in 0° when baby is sleeping?! So the legs can be straight? Hi, I believe it is stationary and cannot be adjusted. I do know what you mean but this stroller does not have a moveable foot rest. The seat does recline though so you can get it pretty flat and if your baby is small their feet will be contained on the seat. Hi Jen, I’m a single mother of 7months old baby from Kuala Lumpur, Malaysia. 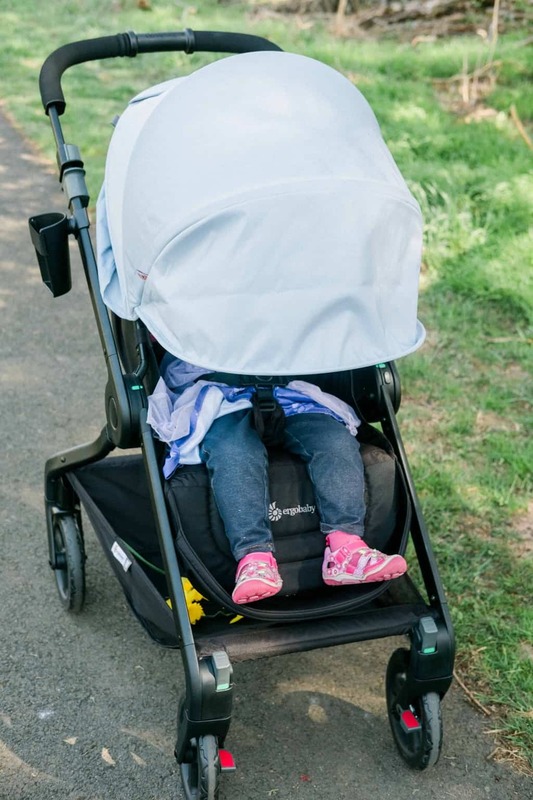 Thank you for sharing this very informative review as I know this Ergobaby 180 stroller fits all of my requirements for replacing my current 3in1 Donna. Meanwhile, may I know what is the weight limit for the basket storage? Any chance to get the stroller in Malaysia or Singapore? Hi, the storage basket has a 20 pound weight limit. I am not sure about Malaysia or Singapore. Can you contact Ergobaby directly via their website and maybe they can help you? Good luck!